WHAT: The University of Missouri will host the 4th annual conference for Post•45, a group of scholars dedicated to the study of post-World War II U.S. literature and culture. Since the conference started in 2006, it has been held at Concordia, Harvard and Yale universities. The format of the conference will include discussions of current studies in the field and the opportunity for scholars to exchange ideas and feedback with oral presentations and work-in-progress workshops. WHO: Participants and speakers include scholars from renowned universities, such as Yale, UCLA and Rutgers. WHERE: 105 Cornell Hall and S304 Memorial Union, MU Campus. WHEN: 9 a.m. – 6:30 p.m., Friday, Nov. 13 and Saturday, Nov.14. NOTE: Events are free and open to the public. Most sessions consist of discussion of papers read in advance. For a full schedule, visit www.post45.org. 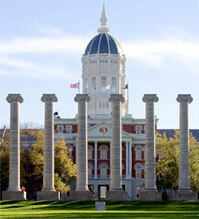 For login information to access papers on the Web site, contact Andrew Hoberek at HoberekA@missouri.edu.